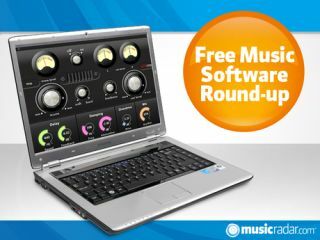 Togu Audio Line makes some of the best freeware synths around, and it's teasing a new one in this week's round-up. Fear not, though, as there are also a couple of effects that you can download right now. Seemingly Boomplug's first plug-in, this is a MIDI-controllable comb filter. The delay time is in Hz, and can be set by pressing MIDI keys or 'bent' using the pitch wheel, which effectively means that it can be played like an instrument. There are GUI and non-GUI versions available: you'll have to use the latter if you're running Windows XP. Fancy some free analogue tube-style compression? That's what WT Comp promises, and Plektron has kept things simple on the interface. Although it says that "the internal structure is very advanced," all you have to do in terms of tweaking is adjust the Warm (compression) level to taste. Togu Audio Line is one of our favourite freeware developers, so we thought we'd like to know that it has a new synth on the way that goes by the name of NoiseMaker. There are no specs yet, but you can hear and (sort of) see it in action in this strange preview video.